- Nia Jax lost her first main card pay-per-view singles match at tonight's WWE Fastlane pay-per-view as she was defeated by Sasha Banks. - Charlotte Flair’s pay-per-view streak ended at WWE Fastlane as she failed to capture the RAW Women’s Title from Bayley. Charlotte was victorious at 16 straight pay-per-views since her main roster call-up – Battleground 2015, Night of Champions 2015, Hell In a Cell 2015, Survivor Series 2015, TLC 2015, Royal Rumble 2016, Fastlane 2016, Roadblock 2016, WrestleMania 32, Payback 2016, Extreme Rules 2016, SummerSlam 2016, Clash of Champions 2016, Hell In a Cell 2016, Roadblock: End of The Line and the 2017 Royal Rumble. 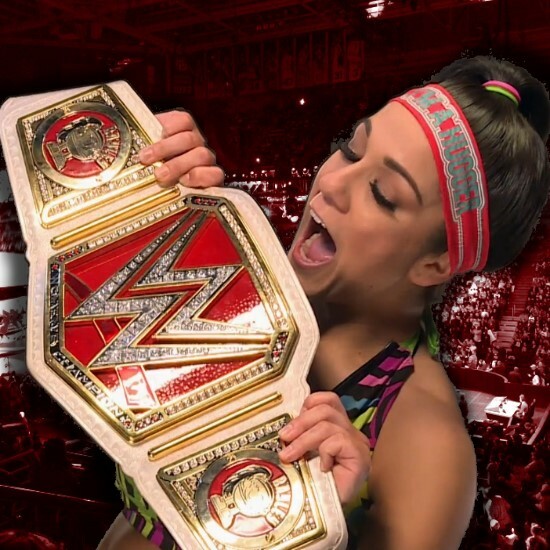 - Tonight at Fastlane, Bayley successfully defended her Raw Women’s Championship. Prior to the match, Charlotte had sent her protégé Dana Brooke to the back, a nudge to Bayley after the champion had challenged Charlotte to take her one-on-one in an interview that took place earlier in the night. Charlotte began a comeback with by using her legs to trap Bayley into a headlock and then thrusting the champion’s head onto the mat. Charlotte would follow up with her signature top rope moonsault and running Senton but it wasn’t enough to put Bayley away. Bayley began another combat by fighting off Chalotte with a series of chops to the chest, a second hurricanrana and top rope elbow drop.